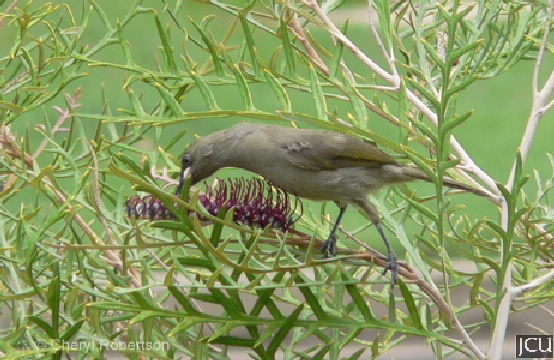 This honeyeater is commonly found along streams, in gardens and also associated with mangrove communities. The upperparts are dark olive green to grey, with a brighter olive green on the wings, underparts are a mid-grey in colour. The distinctive feature is the white gape. Legs and feet grey, bill is dark grey and eyes are greenish-brown. 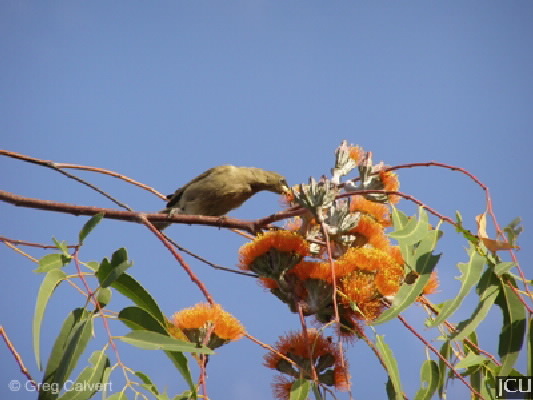 This bird is feeding on Eucalyptus phoenecia.